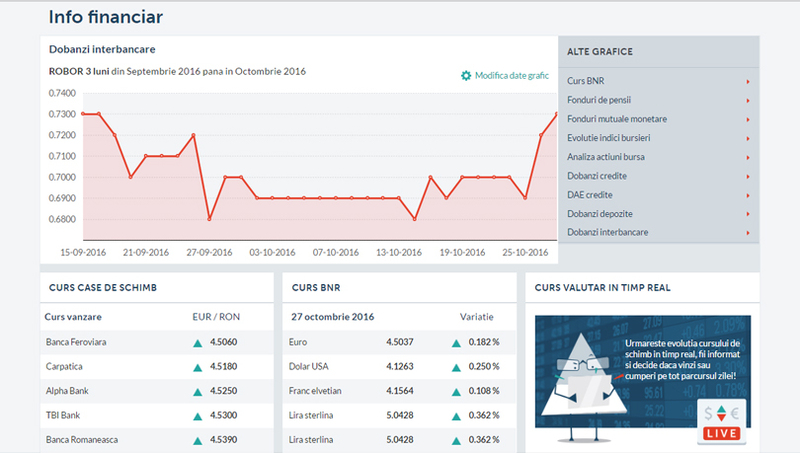 Conso.ro is the romanian leading financial information portal for consumers run by Conso Media Group SRL. Since the beginning in 2006, Conso.ro objective was to help consumers make better financial decisions. 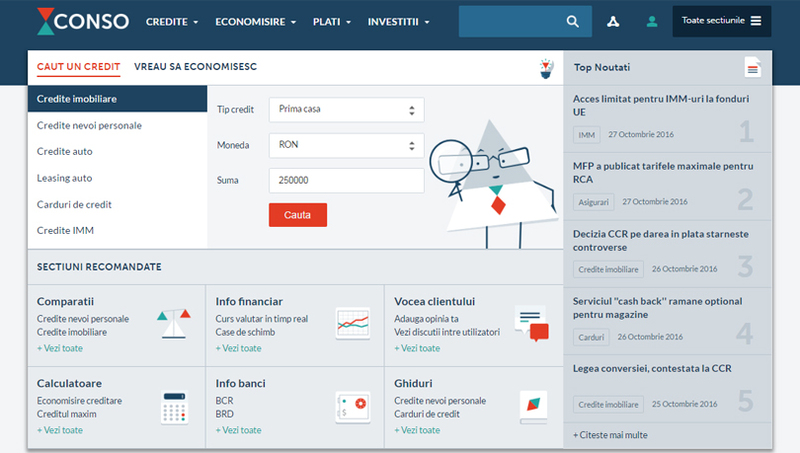 The portal was built to provide consumers all the information needed to substantiate financial decisions based on financial education and to the choice of a concrete offer. 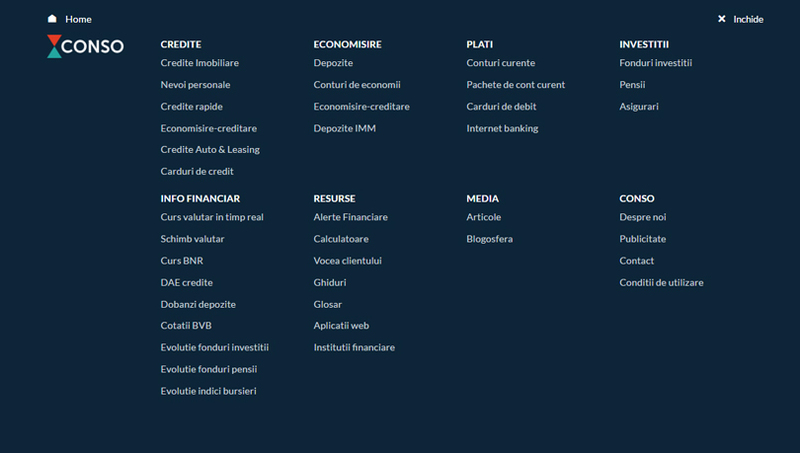 In this regard, users have access to a series of educational resources (guides, tips), and precise tools for evaluating financial services offers (financial simulators, comparative tables).